Makrolon® 15 sheet polycarbonate sheet offers high impact resistance, weathering life, and optical quality. It provides a clear aesthetic advantage over wire glass and metal screens for security glazing. 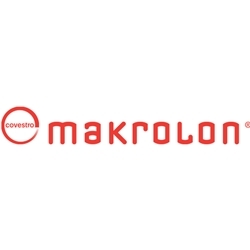 Makrolon 15 withstands vandalism, forced entry attempts, and accidental impacts to minimize the risk of theft and glass replacement in damage prone areas. Advanced manufacturing technology has resulted in high optical quality with minimal distortion in clear and standard glazing tints. It has an abrasion resistant coating that provides up to twice the life of prior polycarbonate sheet products. Makrolon 15 sheet has a fifteen year limited product warranty against breakage, yellowing, and loss of light transmission.